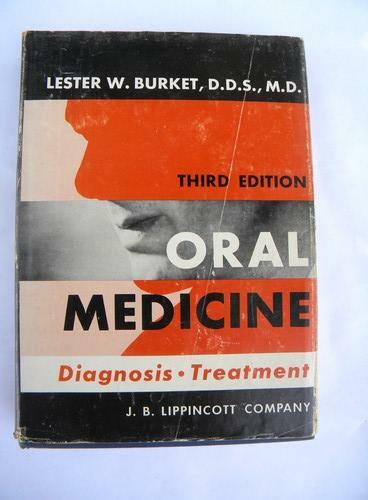 Vintage 1957 third edition of Lester Burket's Oral Medicine Diagnosis - Treatment. 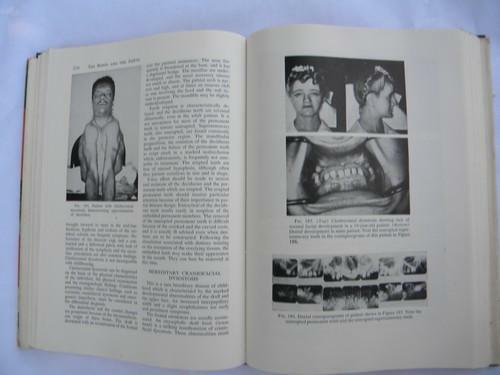 This has 558 pages with 391 illustrations including 40 subjects in color. It is published by J. B. Lippincott Company. 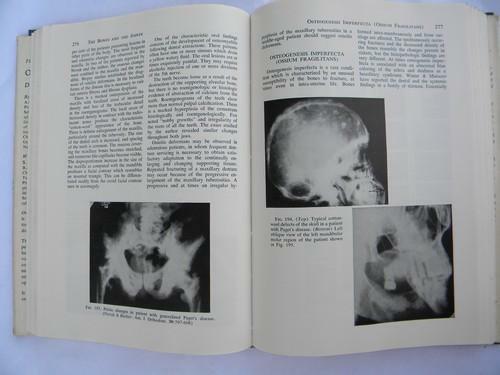 This has lots of interesting photos and illustrations including x-ray photos as well as photos of medical afflictions and abnormalities. 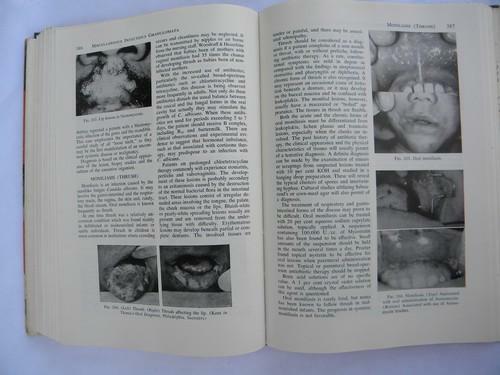 This from the estate of a dentist who ran his own practice for many years. It is in very nice vintage condition with the original dust jacket.